One of the things I dread the most when the kids are back in school is making lunches. More than once a week I find myself standing in the middle of the kitchen trying to decide what to pack for the boys. 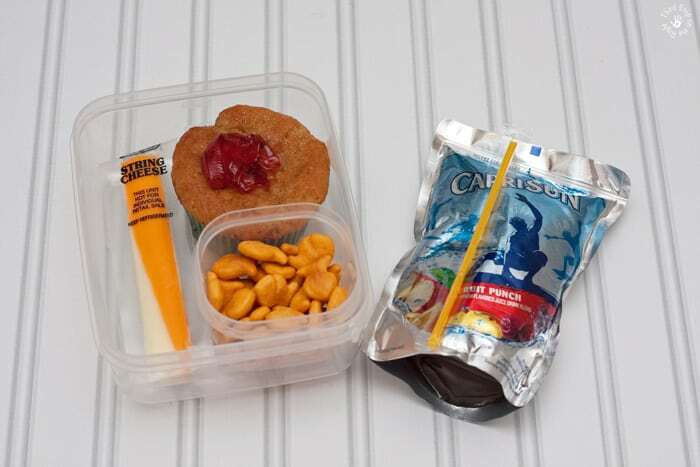 Although those premade lunches are handy, they can get pricey. For a mom on a budget, they can get pricey. For a mom on a budget, that can be a problem. I’m trying to save time, but also save money. I’m trying to streamline the lunch-making process so I was trying to come up with some lunches that I could make in bulk. 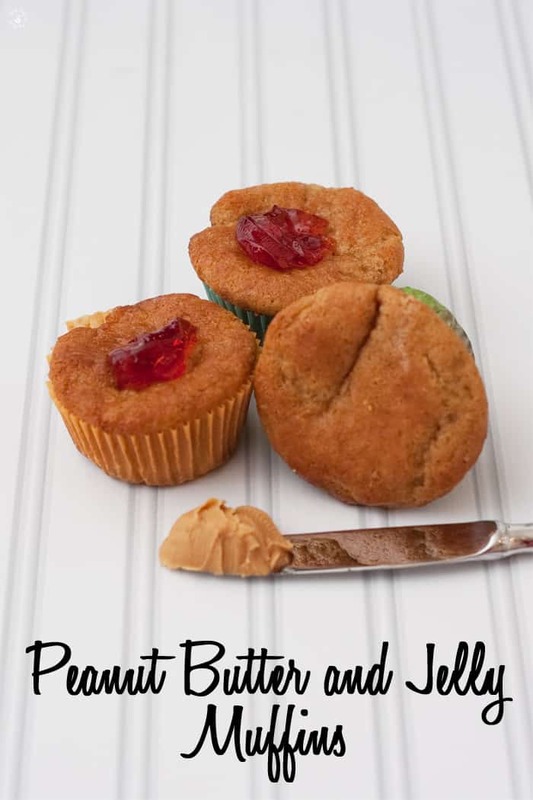 That’s when I came up with the idea to make some peanut butter and jelly muffins. The great thing about these muffins is that I can make up a dozen and it will last the boys for a week. Or even better, I can make up several dozen at once and freeze them. Then, when I need them all I have to do is pull a few muffins out of the freezer. 1. Preheat the oven to 350 degrees F. Grease a muffin pan or line with paper liners. 2. 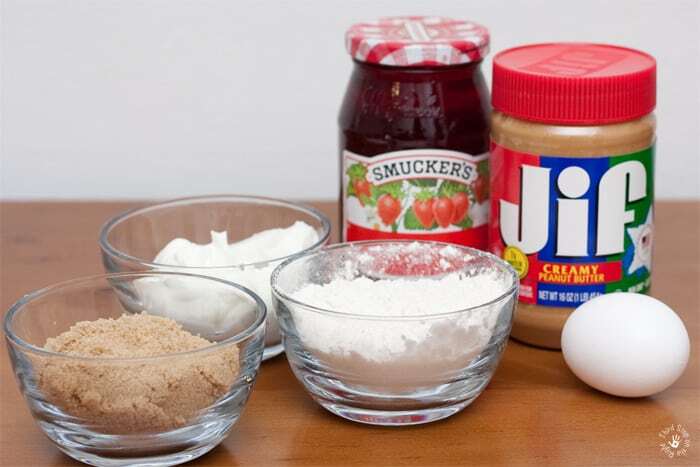 In a large mixing bowl, beat the peanut butter, sugar, butter, and egg until well combined. 3. Gradually add in the four, baking powder, baking soda, and Greek yogurt. 4. Divide the batter between the muffin cups. Add a spoonful of the fruit spread on the top of each cup. 5. Bake the muffins for 20-25 minutes or until the muffin tops are slightly brown. Insert a toothpick into the muffin, and if it comes out clean, then the muffins are done. 6. 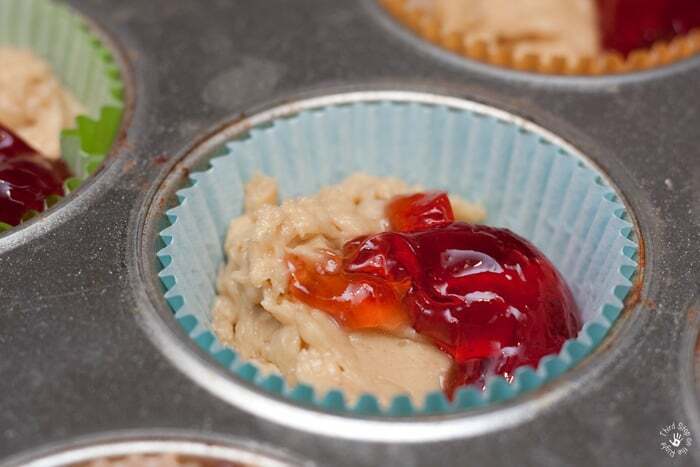 When you are ready to serve the muffins, add a drop of fruit spread or peanut butter to the top of the muffin. Preheat the oven to 350 degrees F. Grease a muffin pan or line with paper liners. In a large mixing bowl, beat the peanut butter, sugar, butter, and egg until well combined. Gradually add the four, baking powder, baking soda, and Greek yogurt. Divide the batter between the muffin cups. Add a spoonful of the fruit spread on the top of each cup. Bake the muffins for 20-25 minutes or until the muffin tops are slightly brown. Insert a toothpick into the muffin, and if it comes out clean, then the muffins are done. 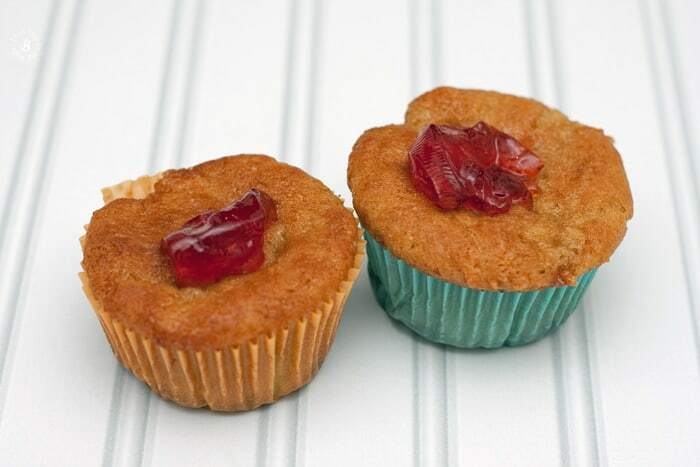 When you are ready to serve the muffins, add a drop of fruit spread or peanut butter to the top of the muffin. Another way I streamline the lunch-making process is to have a “lunch caddy”. All it is is a plastic bin that I keep in the pantry. I keep all of the nonperishable lunch items in the caddy such as Capri Sun, Goldfish Crackers, JIF peanut butter, and anything else I may need. 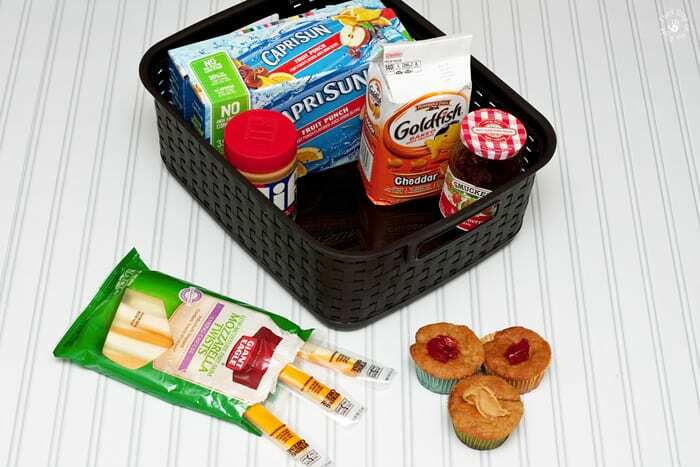 When it is time to actually make the lunches, I load other lunch items such as Giant Eagle string cheese and the peanut butter and jelly muffins into the caddy. For there I am able to pack the boys’ lunches with everything in arm’s reach. Giant Eagle is my go-to for not only my kids’ lunches but also all of my other grocery needs. 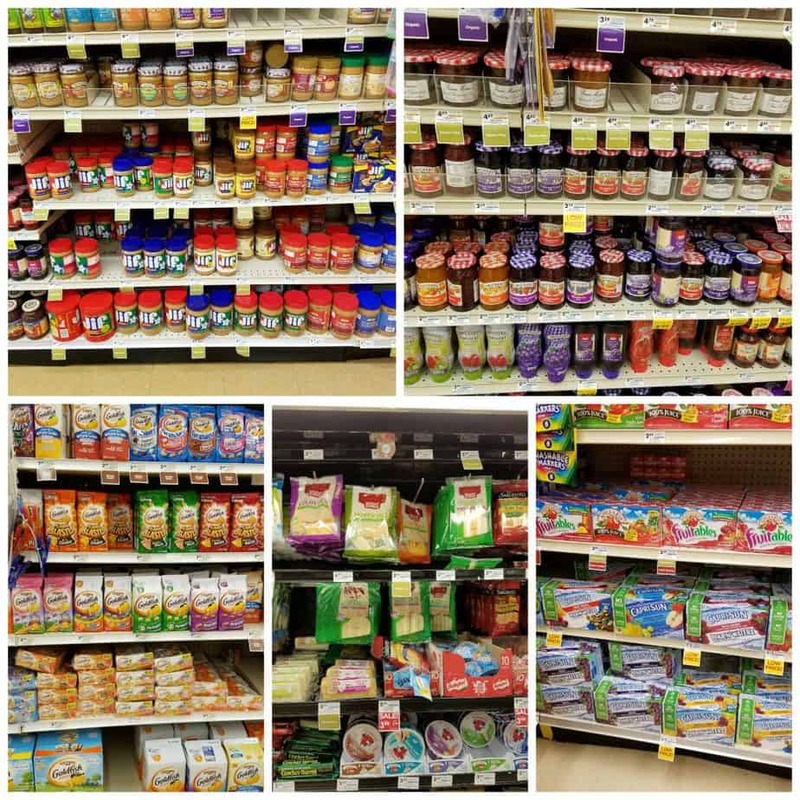 You can pick up Goldfish Crackers, JIF peanut butter, Smuckers Fruit Spread, Capri Sun, and Giant Eagle string cheese at your closest Giant Eagle. Comment On: What is your go-to school lunch recipe? « Embrace Life Without Fear of LBL!